Pipolli Dog Teepee - I've posted it here before, but I just LOVE this dog teepee! 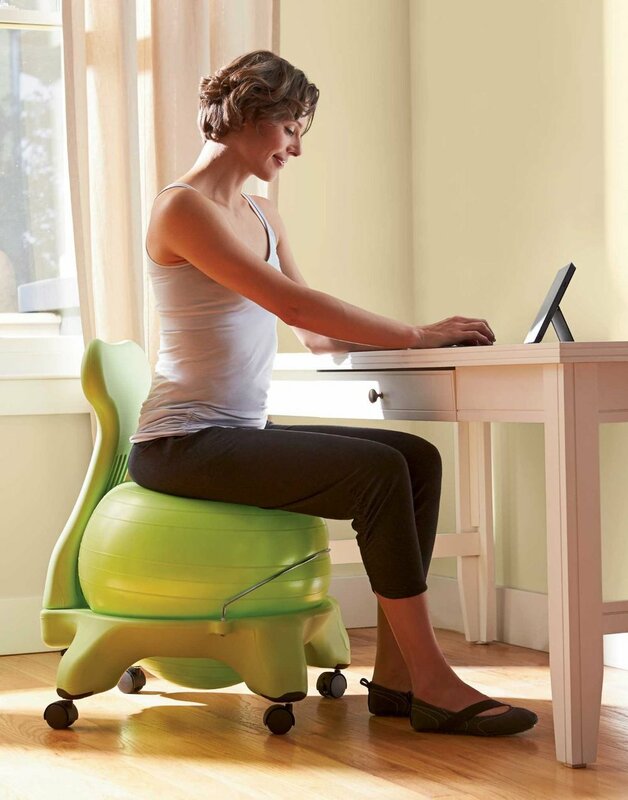 It's too cute (especially because they feature a Frenchie in the ads). I'm sure my pups would enjoy having their own little hang out. 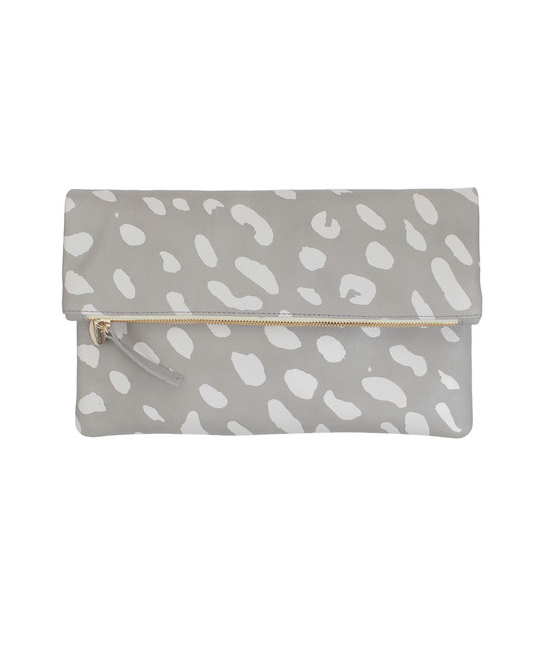 Clare Vivier Gray Leather Jaguar Foldover Clutch - I pretty much love everything that Clare V makes, but I'm really loving her awesome patterned foldover clutches. I love the Jaguar print and the soft gray on this one, but also love the simple chicness of this leather croc one, and this neon striped wallet. My search for the perfect bed head is never-ending, but below are some of the recent images that made me want to stop what I'm doing and play hairdresser for a bit. Of course, the ever-perfect Brigitte Bardot and Sienna Miller (two of the best coifed people on the planet) have mastered the look, but there are some serious contenders on my Pinterest board. I so wish I had just slightly wavy, slightly thicker, slightly dryer hair. But alas, us limp, boring, straight-haired girls can dream, can't we? I've found a few online tutorials that give some advice on how to achieve the look (here, here, and here), but some seem to be too much work (why spend 25 minutes trying to look like you spent none?! ), and some seem to not work at all (I love dry shampoo - but that is not the cure-all). So I'll continue my trial-and-error experiments on getting the perfect bed head look, but until then, enjoy looking at the inspiring photos above. 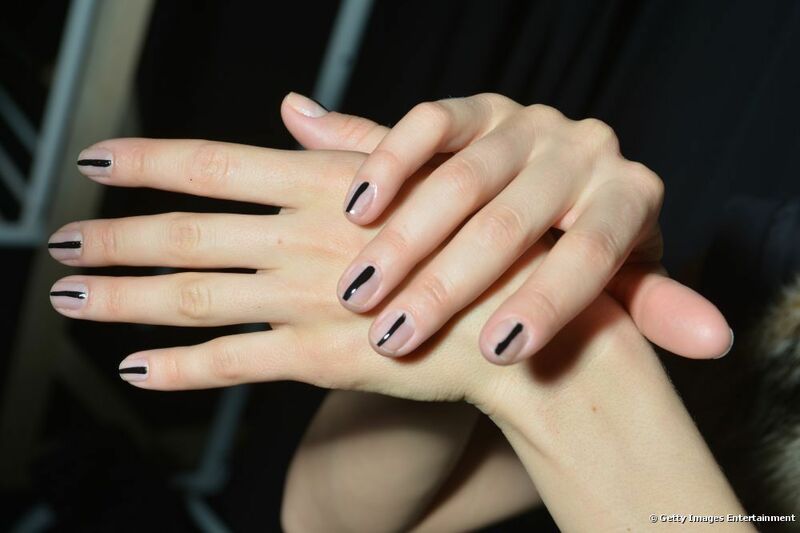 I'm always enamored by nail art - but usually not the ornate kind. The simpler the art, the more intrigued I am. Of course, I'm also completely perplexed by nail art - how do people get these perfectly straight lines, or perfectly round dots, on their nails? They can't possibly do it themselves - who has that kind of steady hand, or patience, for that matter? Ain't nobody got time for that. Alas, below are few options I found perusing Pinterest, that I think even I might be able to do (especially using this DIY, or these nail decals). The squares might be a challenge I'd give to a nail technician, but the others, hey, I think I could potentially do on myself. I really like the use of natural, unpolished nails in some of these options as well - I think it gives a laid-back summer vibe that I care enough do something to my nails, but nothing that took me longer than 20 minutes. I'm looking forward to trying a simple black or white line (a la top left image, or bottom right image) on my plain nails this week. Love the evil eye art as well (middle image), but that might take some practice - or better yet, nail stickers. It's been a bit since I posted any new beauty products I liked - partially because I haven't been buying too many recently - so I thought I would touch on a few of my tried and true products. Mally High Shine Liquid Lipstick in Orchid ($20) - I usually hate lip glosses because I can't stand the stickiness that comes with them, and almost always prefer Chapstick (my fave here) or lipstick, but this color is really great (not too light, not too dark, just a touch of purplish-pink), and lasts FOR-EV-ER. bareMinerals Original Foundation in Fairly Light ($28) - I've used it on-and-off for years, but I always seem to come back to it, no matter how many other products I try. It's super light and feels like you're wearing nothing, and somehow lasts all day (with the help of a little primer mixed in with my face lotion). It's really sheer too, so it makes you look like your skin is just naturally awesome (ah, one can wish). Clinique Clarifying Lotion 2 ($13.50) - another tried and true product, I have used this since high school, and it still is the best post face-washing cleanser/toner yet. I have very sensitive skin, and it never dries it out or makes it red. I'm pretty obsessed with trying new skincare products, but this is always one of the things in my bag. Bliss Micro Magic ($48) - so this actually is a recent purchase (well, technically, it came in my March Must Have box - which is awesome considering the box full of goodies is only $40, including the full size scrub - which alone is $48! ), and it is fantastic. Like I said before, I'm a skincare nut, and this exfoliator is AMAZING. You're skin will never feel cleaner or smoother. Worth every penny (and I will totally be dishing out the fifty bucks for it when I'm done this bottle). MAC Matte Lipstick in Lady Danger ($16) - another somewhat recent purchase, I finally got to wear this lipstick this past weekend and I LOVE it. Perfect texture, perfect color. Just plain perfect. Nourish Organic Eye Cream ($16) - I love eye cream - not necessarily because I need it (well, not yet anyway) - but because it's so refreshing and cool on your face. 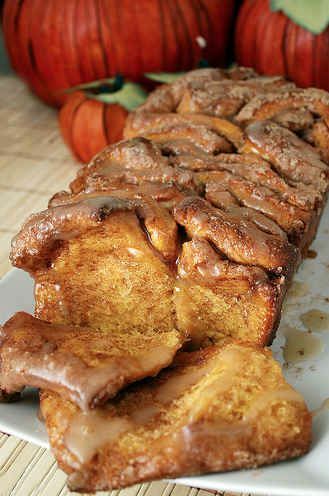 This one is great because it's thick but not TOO thick, and has the perfect amount of cooling effect. Also, it's less than twenty bucks - can't beat that! Summer is all about easy, breezy clothing. As you've seen in some of my other posts (here + here), I'm no stranger to simple, relaxed looks. Any day of the week, you can find me in these jeans (on sale! 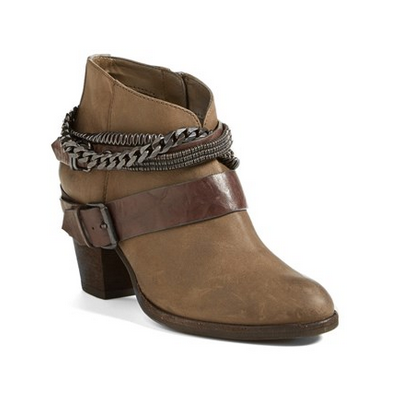 ), these shoes (cheaper version here), and a neutral tank. THESE neutral tanks, to be specific. I have found the perfect tank top, and they are 20 bucks. I have them in black, olive, gray, and white. In fact, I plan on picking up doubles when Nordstrom has their next sale (which happens pretty much every month). I was able to get my olive and gray colored ones for $15 last sale, plus (as always) free shipping! 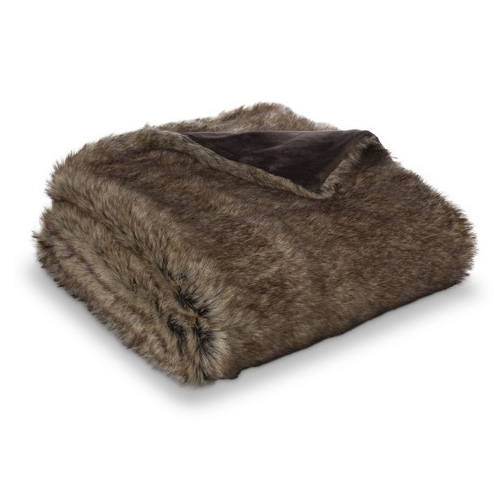 Seriously, do yourself a favor and pick up one (or five) of these. They are perfect for dressing down for a yoga class to dressing up for a date night. P.S. They are definitely roomy too, so no need to size up for that loose/boho feel (which I do most of the time). I got mediums in all mine and they fit perfectly. I love a good braid, and lucky for me, braids seem to be the hot new hair accessory from runways to workouts. As much as I love them though, I will be the first to admit that I am not hair savvy at all - I can BARELY do a regular braid, much less a french or fishtail braid (le sigh). It doesn't stop me from trying though, and I recently came across this post, filled with beautiful and (some!) easy ones to test out. Even a few Game of Throne-y ones! And this blog has a ton of awesome braid DIYs - though most of them are WAY too advanced for me, they're still pretty to look at (also, her hair is unbelievable). Check out some of my braid inspirations below. Happy braiding! I recently posted about spring grunge, and how I'm pretty excited for ripped boyfriend jeans, birks, and tees to come back with the warm weather. But, I'm just as excited for maxi dresses, jumpsuits, and slightly-less casual attire as well. So much color and style has been popping up all over, I can't help but feel the love. Tan booties worn all year. Brights spring colors + fresh chopped hair. Light layers + long necklaces. Maxi skirts with cropped sweaters. This past week, my rose gold Michael Kors watch bit the dust, and I'm desperate to get another gold one to replace it, because being a watch-wearer means I look down at a now-empty left wrist about 300 times a day. Here's the other things on my list for the spring/summer transition (and whoa, 3/4 of them aren't black!). Long, flowy maxi dress in grayish green. I've been lusting after a pair of Karen Walker sunglasses for a while now. Like, a long long LONG while. Yet I can never get myself to pull the trigger on purchasing the $300 pair (I mean, come on, that's TWO pairs of Ray Bans, or like, 15 pairs of cheap-os! 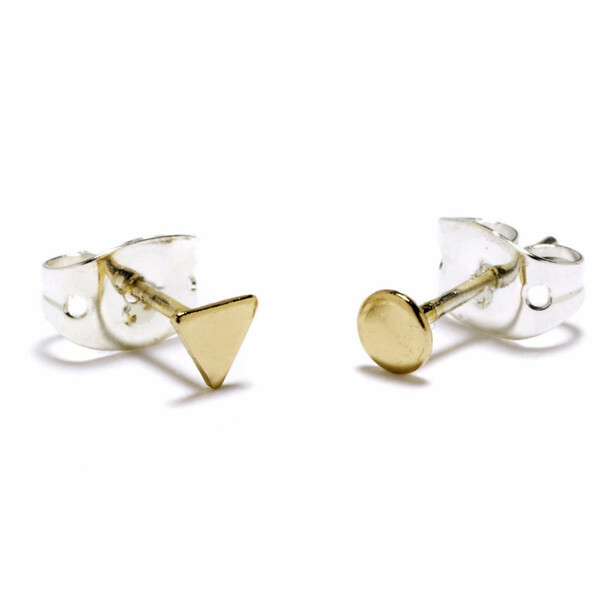 ), no matter how many times I put them in my cart over and over again. Even though I'm pretty dead-set on getting something once it's in my mind, I just CAN'T click the final purchase button. Well, now there's no need. Urban Outfitters put out their Emma sunglasses, and holy crap, they are IDENTICAL. I'm not one to usually get a look-a-like item, but these are literally EXACTLY the same looking. Of course, when you find something you really like, you always buy two (and at $18/piece, I think that's pretty reasonable!) So I got them in Brown (super flattering tortoiseshell coloring - just like the top color of the Karen Walker version below) and in Multi (ombre peach/pink with lighter contrast bottom, just like the bottom of the Karen Walker version below). P.S. I am debating getting the white ones too now. SO many options! P.P.S. These are actually the exactly style they modeled the Emma's after - just a hair thinner on the bridge section than the Super Duper Thistles. In the past year I have transformed my closet from almost all heels (of literally every variety), to mostly booties and sneakers. As much as I love heels - and I do love heels - they seem to be more and more impractical for my everyday use. When I'm home, I'm almost always in birks or my sneakers, and when I'm at work, I'm wearing booties 99% of the time (see my faves here). You'll still rarely catch me on a night out in anything without some sort of heel, but for everyday wear, sneakers are my go-to. Here's a list of my favorite kicks, and why they rock. 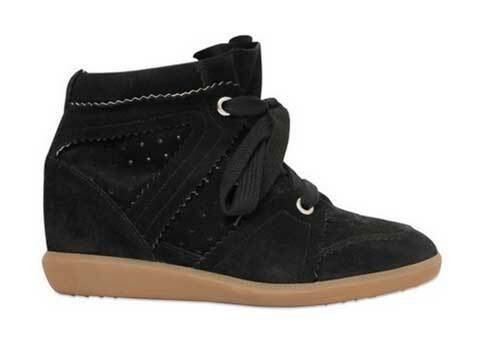 Bobby Suede Wedge Sneakers - so before you gawk at the price (they are Isabel Marant, after all), let me tell you that I got mine, brand new tags and all, on Ebay for $200. Yup, $200 is still crazy to spend on sneakers - BUT - they are fabulous. They are well-made, have the perfect amount of slight heel, and are super comfy. Truly fashion-friendly sneakers. Check Ebay, people! I buy a lot of high-end, never or slightly-used items from there, and it's great when you can get them over 50% cheaper! Chuck Taylors - everyone should have a pair of Converse in their closet. They are forever classics - and for good reason. I've had my same pair of gray low-tops for 6 years. SIX. YEARS. And I wear them fairly frequently too. Comfy, easy-on/easy-off, and they come in a million colors - buy yourself a pair now if you don't already have three. I'm a pretty big advocate of skin care. After all, you're going to have your skin for life, so you should be pretty nice to it. I'm lucky to have fairly nice skin - albeit pale as could be - but none-the-less nice. As a creature of habit, I've been using the same Clean and Clear face wash and lotion since I was 12. But now that I'm (supposedly) maturing with age, I've upgraded my routine to include a some new higher-end items (you can see a few new favorites here), but there's two items that I absolutely love, and are drugstore cheapies. Palmer's Cocoa Firming Butter is the BEST body lotion I've come across. It smells delicious, soaks into your skin super quickly, and is the most moisturizing lotion ever. And for $8 a bottle (I do buy them in packs on three on Amazon, since I go through a bottle a month), it's the cheapest way to keep your skin super soft and pretty. 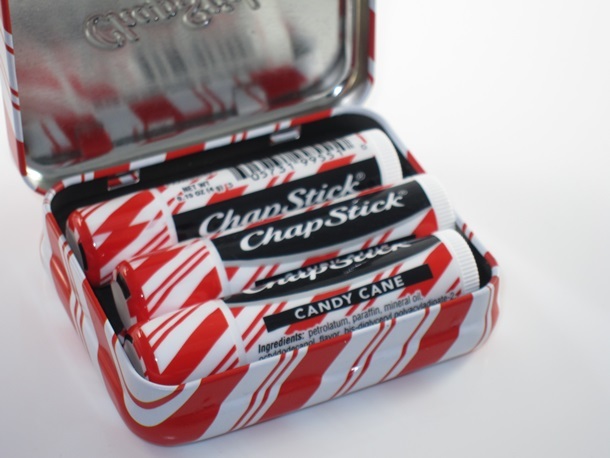 Candy Cane Chapstick is the most refreshing and cheap lip balm out there. It has the perfect amount of minty tingle, and you can (and I definitely do) buy it in three and six packs. I keep one in my bag, on my nightstand, in my office, in my car...literally there's one anywhere I can stash it. I also use it on my knuckles, since it's really moisturizing and my knuckles tend to crack and bleed during these harsh winter months. And for about $3 a stick, it's a penny-pinching cure-all with a delicious candy cane smell. Lip Balm - I've heard great things about this balm for a long time, but the price ($28) always deterred me from purchasing. Well, finally I bit the bullet and bought it, and boy am I glad I did. SO SO SO nice. The smell. The feel. Worth every penny - seriously. Also, it's a really big tin, so it should certainly last at least 6 months! 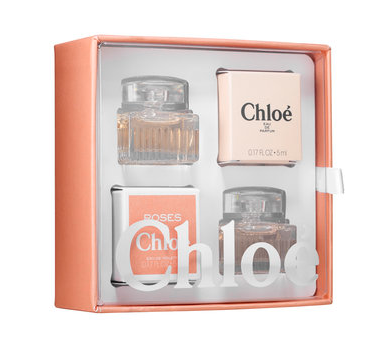 Perfume - I mentioned in this post that I got a little sampler kit of the Chloe scents on Cyber Monday (best $10 spent in a while). As much as I love the original scent, I must say I really really love the Roses de Chloe scent even more. Something about the smell of roses really makes me happy. I've been wearing it so much I'm going to need a new bottle soon! Skincare - Similar to the lip balm situation, I had heard great things about the Peter Thomas Roth line and this particular product, but was hesitant to buy it because of the price ($58). But, since they started selling the Peel Pads in three different sizes, I scooped up the smaller size for $19 - and am so glad I did! Your skin will NEVER feel better! Right now I use them probably two - three times a week, but they're so nice I might start using them every night! I, like many, tend to buy myself everything I want during my holiday shopping for others - way way before anyone else gets a chance to even ask what's on my Christmas list. My boyfriend did a good job getting me a few things before I almost got them for myself - including this, and this, and this (we're not very good at surprises, are we?) But I was still happy to scoop up many-a-thing for myself this holiday season - especially during the Black Friday and Cyber Monday super sales. Even though I spent wayyyy too much on Christmas this year (believe it or not after this post, mainly on others, I swear! ), I think this one might be the best Christmas so far, and it hasn't even happened yet! Below are the awesome things I've bought for myself - and EVERYTHING (and I truly mean everything) was on sale at the time of purchase. The only thing that was over $50 was the shoes (but come on, they're SHOES after all). Most of the items ended up being $30 or less - not too shabby at all, if you ask me! P.P.S. Those last two items were mainly for my pup - she loves her nose butter (Frenchies are known for having dry noses), and she's all about anything furry! So I've been contemplating a hair chop the last few weeks due to a few reasons - hair boredom, extreme dead ends, and overall style update. 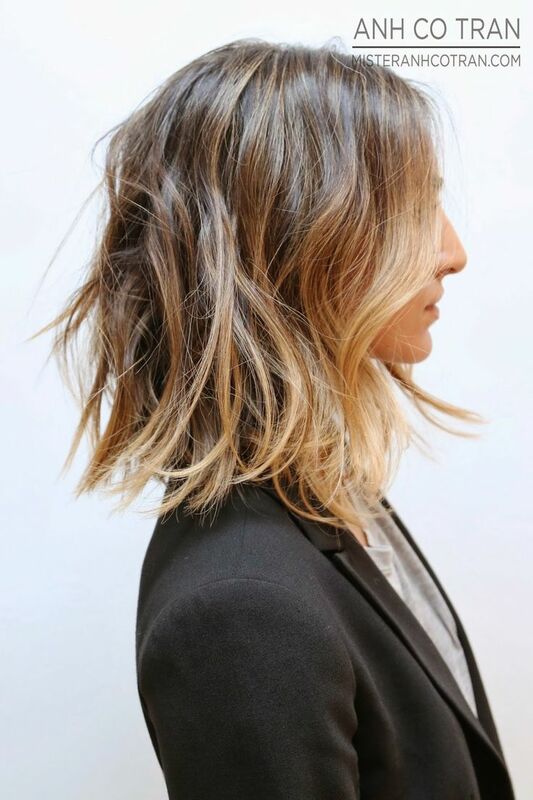 As much as I love long hair, I could use a change - nothing too drastic, but enough that I can chop off a few inches of dead ends and start fresh. Pinterest has been fueling the fire with some adorable looks lately, and I can say that it's only a matter of time before I go under the knife, so to speak. 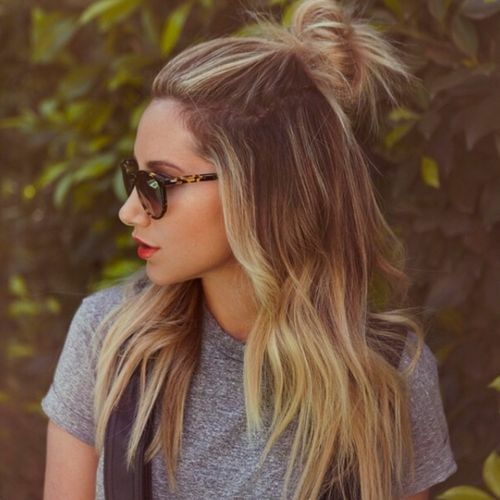 I'm loving the blunt, right-below-the-shoulder cuts with platinum highlights and waves. What do you think? P.S. I've posted a few of these before, but I just can't seem to get them out of my mind! 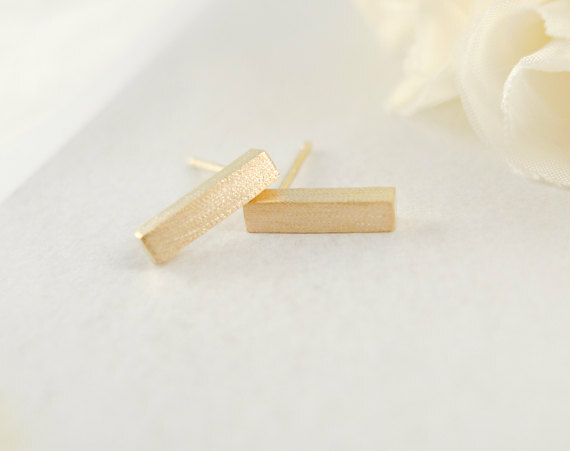 I've recently become enamored with rows of tiny gold earrings, similar to my love of gold bracelet and ring stacks. 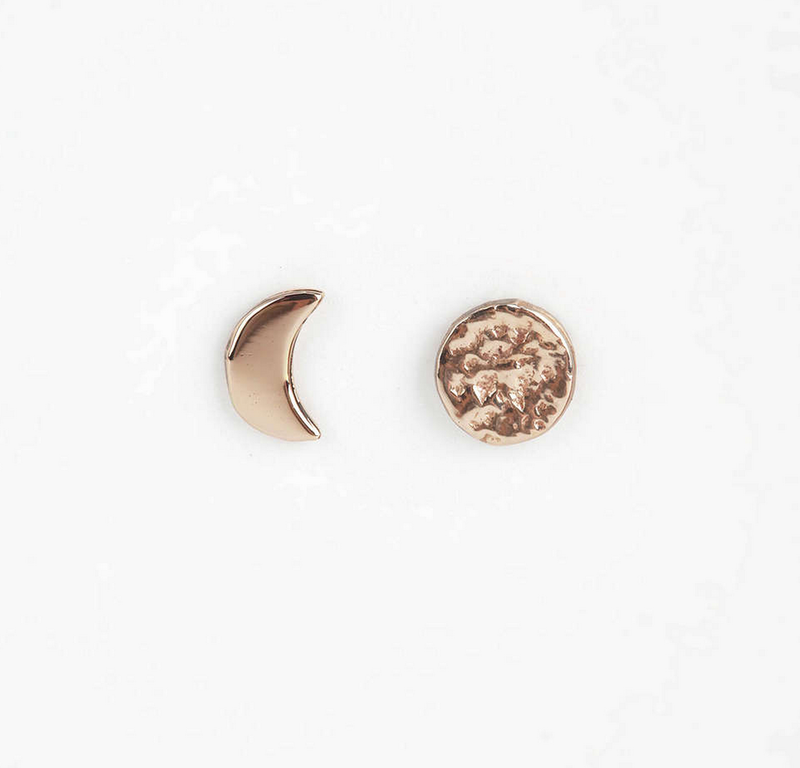 I've spotted them quite a bit on Instagram, Pinterest, and fashion sites lately, and I can't help but want to stock up on teeny tiny mismatched gold studs too! So I was recently featured on a BuzzFeed list for Lazy Girl Nail Art Ideas, which was really cool considering it was my first feature on a popular site. I was wondering why my numbers had jumped 1000+ people a day over the past weekend - and now I know why! I think the coolest part is knowing that there are so many other people out there that like exactly what I like (a la the entire Pinterest community). Either way, I thought it would be a fun follow up to post a few more nail art inspirations from around the interwebs (and by interwebs I mean Pinterest). Since Fall is right around the corner, these are the looks I'm loving for colder weather and changing leaves. Since I'm starting a new job this month (SUPER excited! ), I've been working on weeding out my closet of things I never or rarely wear, and replacing them with easy pieces I can throw on with anything and look polished. Since I have a style that's very "me", it's been interesting to figure out how to make any type of outfit appear polished but remain "Mere Style". So I thought I would start a regular post on my favorite buys of the month - from clothing to beauty purchases. Everyone loves a good bargain, and I am certainly no exception, so most of these will revolve around great sale purchases. 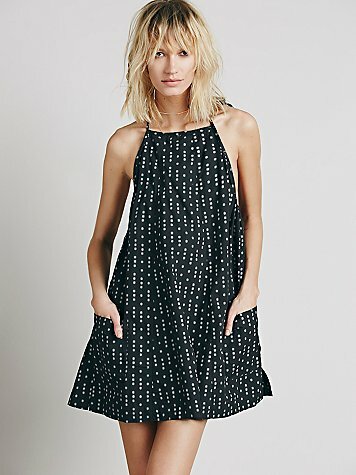 One of my favorite places (especially for sales) is Urban Outfitters for their end-of-the-season sale - which is usually an additional 50-70% off all sale items. Hello best deals ever (those boots were $15!). You sometimes have to hunt, but in those cluttered back-store clothes racks are some amazing pieces for a quarter of the price! 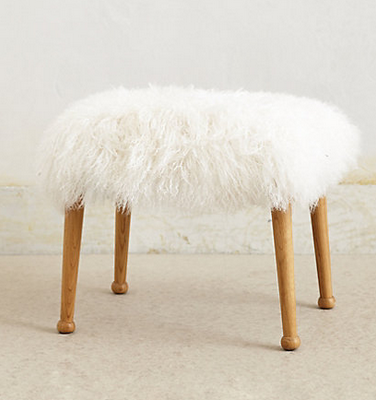 So take a look at a few of the items I scooped up on super sale below (with the links too! ), and check out me showing off my new duds here and here. This week has been crazy busy since I took a vacation and didn't touch my computer for 5 days, so I've been slacking on posting this week as a result of trying to catch up on freelance work. BUT, here are a few things I'm digging right now. Click the photo to read the description - links are below. As much as I love summer, Autumn is by far my favorite season. Cooler weather, changing leaves, lots of layers - if there was a place that was autumn all year around, I'd move there in a heartbeat. 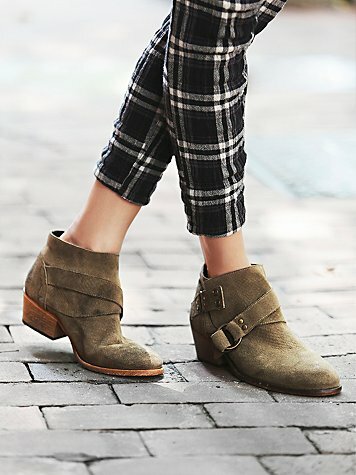 One of my favorite fashion changes for fall is shoes - tall boots, short booties, slip ons - I'm a big fan of anything that has a slight heel and a suede finish. I'm still forever on the hunt for these coveted VPL cognac booties (if I ever find them - even if they're $600 - I will have them), but here's some other styles I'm digging for the upcoming season. Burgundy, tan, black, fringe, buckles - I got it all covered. 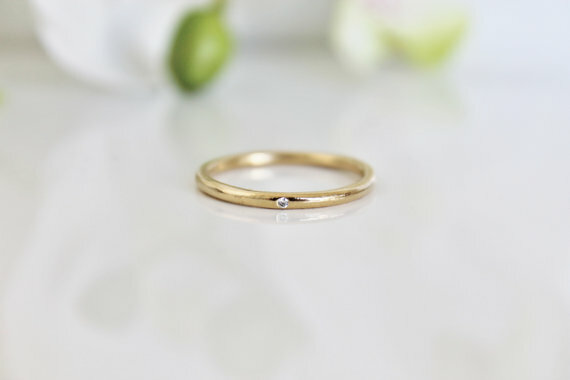 So clearly it's no secret I love jewelry (see my recent post here for what I wear, and some more jewelry wants here, here, and here), and luckily we live in a world where there are so many different artists and designers creating such beautiful pieces everyday. Rings have always been my favorite piece of jewelry, and despite the fact that I have a million of them, a girl can always have more. Here are a few styles I'm loving lately from some of my favorite spots (Etsy, Gorjana). 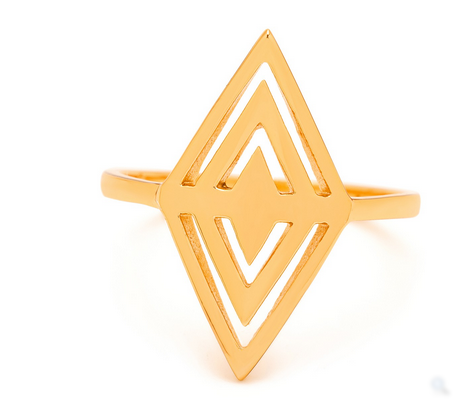 How awesome is that gold geometric diamond ring (2)? 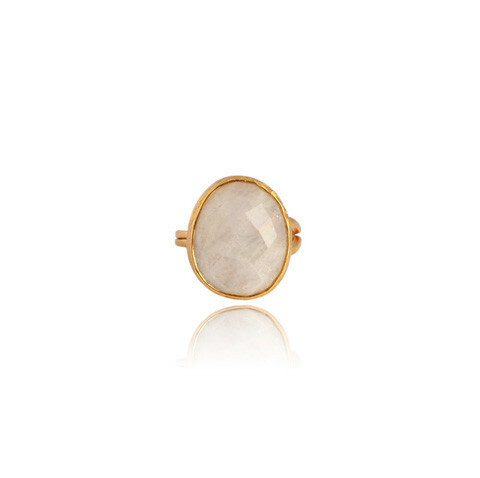 And that blue opal evil eye ring (1)? Don't get me started. I'll have two of each, please. I'm pretty basic when it comes to my nails - 50% of the time I'm wearing blood red polish, the other 50% of the time I'm wearing nothing at all - but lately, a lot of super simple nail art has been popping up on Instagram and Pinterest, and I dig it. Looking forward to either doing some black triangles or teeny black dots on my boring nails this week. I think even I can pull those off.